Today's electrical systems are too complex to leave to chance. With East Coast's alternators, simply connect one wire to your battery and your installation is complete! Each of their alternators is designed to provide adequate 14+ volt charging power required for throttle stops, delay boxes, timers, ignition components and fuel pumps, plus they are Loc-Tited, epoxied and fully load tested at various speeds. 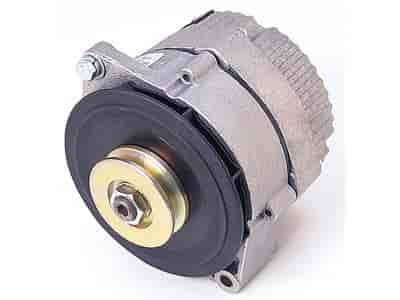 Perfect for street or strip, these full size alternators are assembled using a 70 amp stator, a high amp rotor, a special low turn-on regulator and premium bearings. 11 lbs. Does East Coast Auto Electric 2001 fit your vehicle? The turn on point for this alternator is about 1200 RPM.